Dulwich Picture Gallery marks the end of the exhibition Nikolai Astrup: Painting Norway in the best way possible with Scandimania: Norway and beyond, a festival celebrating Norway and Scandinavian culture. Since the beginning of February, the walls at Dulwich Picture Gallery has been hung with the luscious, colourful paintings of renowned Norwegian artist Nikolai Astrup, depicting mythical, scenic landscapes. Inspired by his works, Dulwich Picture Gallery has decided to celebrate Norwegian and Scandinavian culture with a festival. The programme features live music, outdoor film screenings, Nordic-inspired craft workshops, film marathons and family events throughout the weekend. The festival start Saturday 7 May, with a concert with (British) folk artists Vicki Swan and Jonny Dyer. 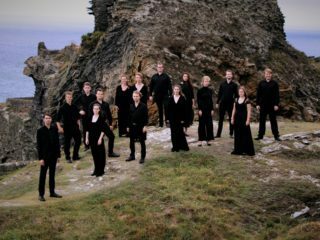 The pair of them will introduce Londoners to the music and instruments of Scandinavia. The following weekend the festival continues on Thursday 13 May with renowned Norwegian designers, Arne and Carlos (top photo), who will lead a communal ‘crochet-a-thon’. With specialist guidance from the pair, budding knitters can also hone their own skills on their own projects at a crochet workshop, as well as contributing to a bespoke large-scale work inspired by Astrup’s colourful landscapes. 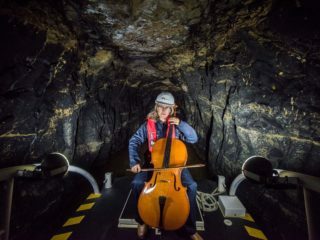 On Friday 13 and Saturday 14 May there will be two ‘Scandinights’ at the gallery, where visitors can enjoy the soaring sounds of Norwegian breakthrough artists, Sasha Siem, Siv Jakobsen and Eera who will perform live on stage in the Gallery grounds. Those who don’t think this is enough scanditainment will be happy to know that the concert sets will be followed by outdoor cinema screenings of cult Norwegian film Trollhunter (Friday) and Norwegian action thriller Headhunters (Saturday). And don’t worry about food and drinks, Scandi street food will be available throughout the evening, as well as guided tours to the Astrup exhibition. However, there are events for the early birds as well. For guests who visits the gallery at daytime there will be a chance to participate in a Rosemåling painting workshop and to catch the Nordic cinema marathon featuring shorts and award-winning feature-lengths specially curated by the experts from the Nordic Film Festival. Films will include Welcome to Norway, winner of this year’s Audience Award at Gothenburg Film Festival. There will also be a variety of Scandi market stalls in the Gallery grounds, selling gifts and homeware. Please find more details in the program below. Scandimania: Norway and Beyond is part of Museums at Night, the annual UK-wide weekend of late openings at arts and heritage venues, which captures people’s imaginations and encourages audiences to do something different with their evening. Sat 7 May: Scandinavian Soundaround Folk artists Vicki Swan and Jonny Dyer introduce you to the music and instruments of Scandinavia. Thu 12 May: Nordic ‘Crochet-a-thon’ with Arne and Carlos Norwegian textile artists Arne and Carlos, renowned for their knit and crochet work, lead an evening of communal knitting inspired by Nikolai Astrup. 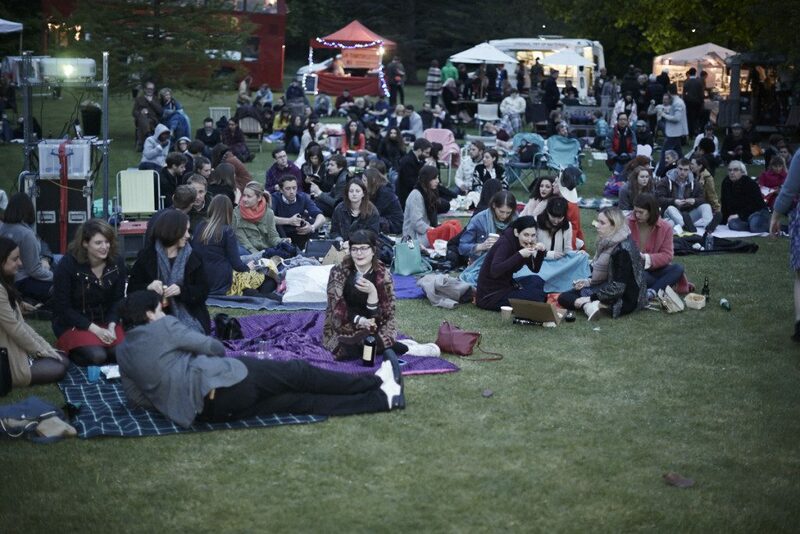 Fri 13 May: Scandinight: Trollhunter A night of live music, outdoor cinema, food drink and art. Performances by breakthrough music acts Sasha Siem, Siv Jakobsen, Eera and more will be followed by an outdoor screening of cult Norwegian film, Trollhunter (2010). Sat 14 May: Scandinight: Headhunters Rising music acts Sasha Siem, Siv Jakobsen, Eera and more are followed by Norwegian action thriller Headhunters (2011) in a night of live music, outdoor cinema, food drink and art. Sat 14 – Sun 15 May: How to: Rosemåling Explore how to paint in the traditional Norwegian style with our resident expert, Norwegian born Bodil Walton. Sun 15 May: Nordic Cinema Marathon A day of Nordic film curated by the Nordic Film Festival featuring shorts and award-winning feature lengths. Sat 14 – Sun 15 May: Family event: Weaving Norwegian Style. A free, exciting workshop for all the family – learn to knit in the traditional Scandinavian style.